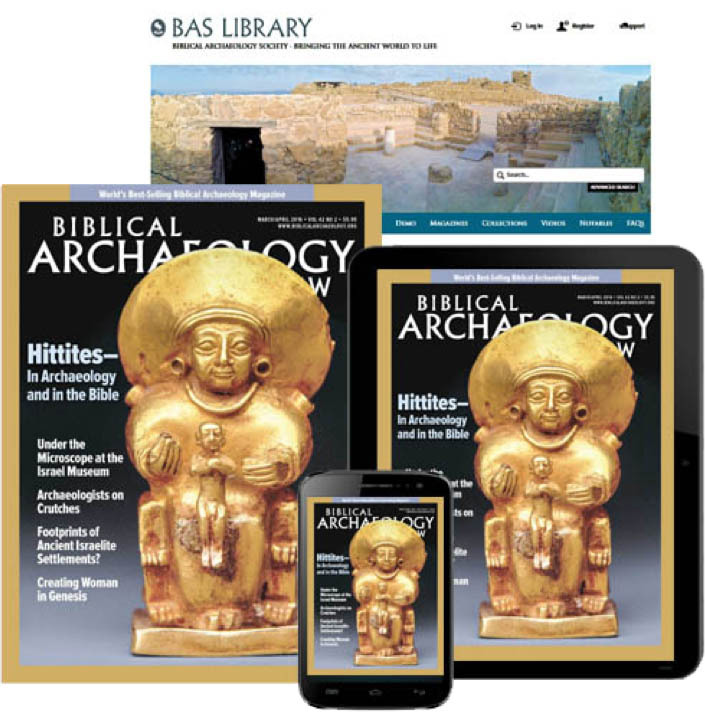 In the Archaeological Views column “The Great Tekhelet Debate—Blue or Purple?” (BAR, September/October 2013) Baruch and Judy Taubes Sterman of the Jerusalem-based Ptil Tekhelet Foundation suggest that God’s chosen color for the ancient Israelites was a sky-blue derived from murex dye. Professor Zvi C. Koren, director of the Edelstein Center for the Analysis of Ancient Artifacts at the Shenker College of Engineering and Design in Ramat Gan, Israel, responds to the Stermans’ analysis below. I wish to correct the various inaccuracies, distortions of fact, and confusing statements made in the article. Firstly, Rashi never wrote that tekhelet’s color is “deep blue or dark violet”, as the authors claim. Throughout his commentaries (e.g., Exodus 25:4, Numbers 15:38), Rashi states that the color of tekhelet is green (yarok), and if he also meant to include turquoise, it is certainly not what the authors stated. Further, the citation about tekhelet that it is “the color of the sky as it darkens towards evening” that the authors attribute to Rashi is incorrect. Though this citation appears in Rashi in Numbers 15:41, just a few verses after he called tekhelet green, Rashi states that this is the position of someone else (Rabbi Moshe HaDarshan). Secondly, the authors offer vague and confusing statements as to what they mean by “sky-blue,” since the observed color of the sky obviously changes between morning, noon and night. However, their concept of “sky-blue” can be understood from their organization’s products as a daytime or bright sky-blue, lighter than, say, sea-blue. Yet, towards the end of their article they indicate that linguistically the ancient tekhelet is synonymous with lapis lazuli, a dark blue-purple stone, which is most definitely not the color that their organization espouses. In our free eBook Frank Moore Cross: Conversations with a Bible Scholar Hershel Shanks conducts five interviews with the renowned Bible scholar. Download the eBook for FREE today. Thirdly, the authors’ organization uses a method known since the 1930s, which was also used by my late colleague, Prof. Elsner, that transforms much of the red and violet components in the dissolved pigment to the blue indigo dye by exposing the dye solution to sunlight. This method does not produce “pure” indigo, as the authors state; my chemical analyses show that the other components are still present. In addition, this technique is performed by first dissolving the pigment with a strongly reactive synthetic chemical reagent not available in antiquity. Fourthly, in my experiments with the pigment, the only way in antiquity that the pigment could be dissolved by using only the natural materials available at the time was by the very slow bacterial action under anaerobic conditions, which thus required eliminating as much air (oxygen) as possible from entering the dye solution. In order to accomplish this, it was thus necessary to cover the dyeing vessel without exposing the dye solution to the action of the sun, and thus the original red and violet components in the pigment would be essentially unchanged. Finally, the only archaeological item that has undergone thorough chemical analyses and can be described as tekhelet that completely corroborates the science is the Masada textile that I have analyzed. Though BAR is not the forum for me to enter into a thorough scientific discussion on the subject, this 2,000-year-old textile clearly shows all the chemical and archaeological signposts that it is indeed tekhelet. As scientifically expected, it is a blue-purple color, since it contains blue, violet and reddish colorants, and not the daylight sky-blue described by the authors. In my lectures on the subject over the past several years, I have indeed likened the color of this tekhelet to the blue-purple of lapis lazuli, which is a color that I have referred to as “midnight blue.” So, is the color of tekhelet the color of the sky? Yes it is, but it is the beautiful dark blue-purple of the clear sky at midnight. Click here to read the Stermans’ response to this letter. Zvi C. Koren, “New Chemical Insights into the Ancient Molluskan Purple Dyeing Process,” Archaeological Chemistry VIII, American Chemical Society (2013). Though the snail and/ or animal is unclean it does not make the by product unclean.The origin of the dye may be unclean but the process of obtaining the dye in its usable form is not. How often does someone come to faith fully clean of themselves? It took the process, so to speak, of the cross to change the person into a usable form for the kingdom of God. So, now when others see that person they should see not just that person but also Jesus (Yehweh) living inside that person. Why do you think the Tekhelet is blue-purple (color of the sky) white (color of purity). It represents the Hypostatic Union of God with flesh i.e. the God man. This is also how God see the true believe, not as he or her is now, but in the eventual glorified state in heaven.